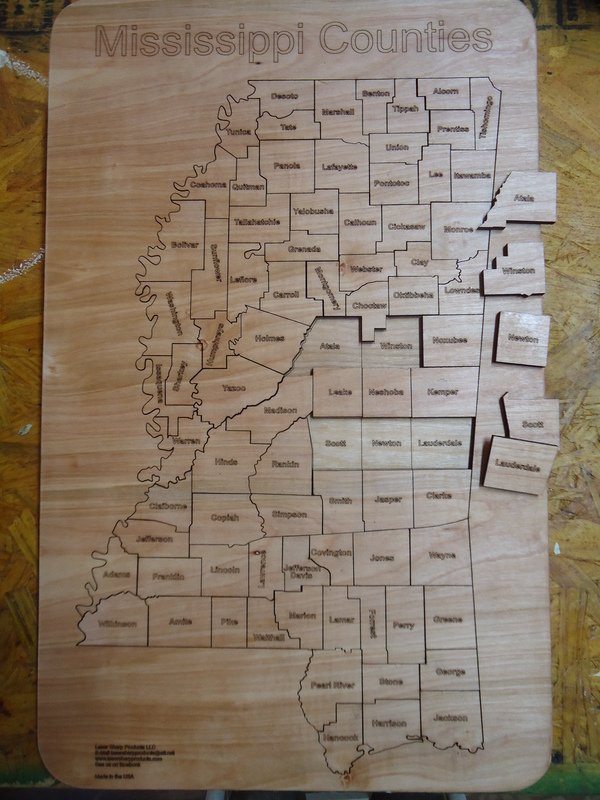 Alabama Counties Plus shipping Great learning puzzle for the whole family County puzzles are a great learning tool for our Children and Adults too. 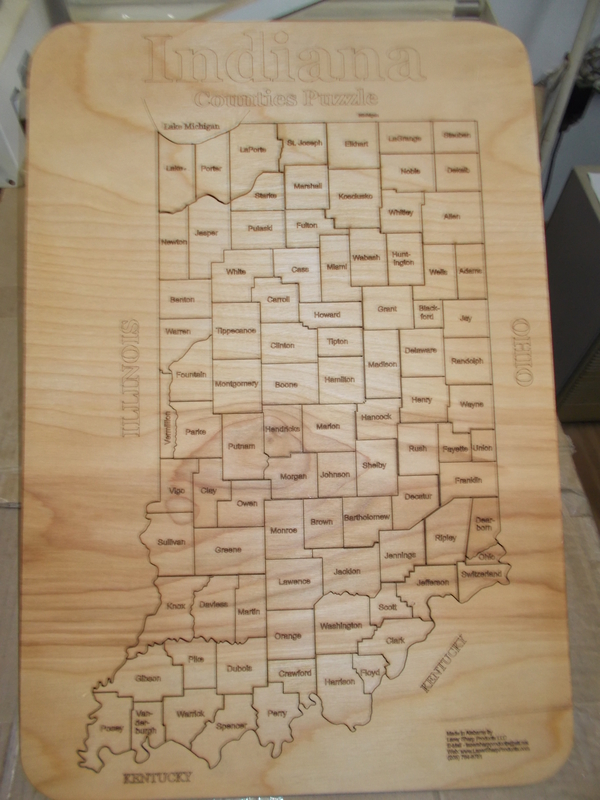 All laser engraved, and the pieces can be replaced if lost. Handmade item It's a good history teacher. 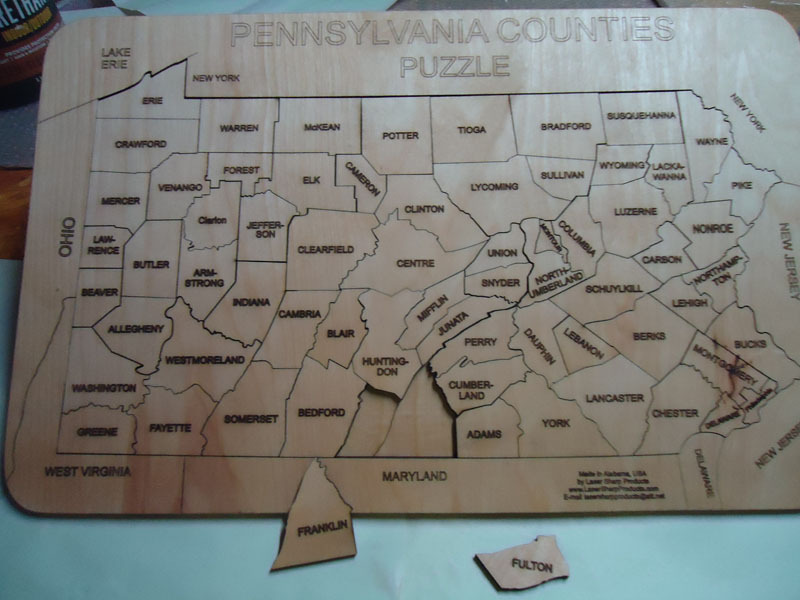 An excellent tool for educators, parents and grandparents to help children (and adults) learn about individual counties names and location within the State. These are a hit with adults as a means to identify location significant events like counties visited, location of extended family members locations, etc. Very suitable for a display model either at home, office or at school. Handmade item Materials: Birch plywood, handmade, crafts, Model, School, Library, Educational, classroom,home school Ships from United States. Not recommended for younger children without supervision, could cause chocking hazards. 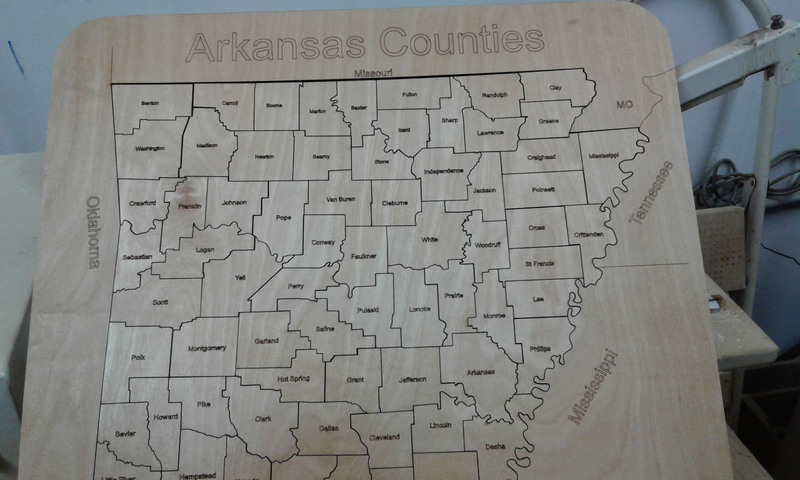 Arkansas Counties Puzzle Plus Shipping A great learning puzzle for the whole family County puzzles are a great learning tool for our Children and Adults too. 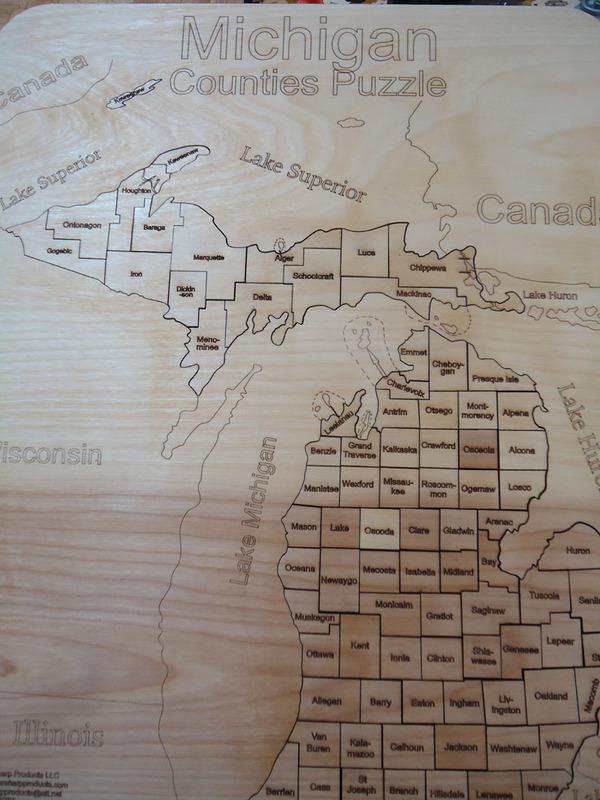 All laser engraved, and the pieces can be replaced if lost. Handmade item It's a good history teacher. An excellent tool for educators, parents and grandparents to help children (and adults) learn about individual counties names and location within the State. These are a hit with adults as a means to identify location significant events like counties visited, location of extended family members locations, etc. Very suitable for a display model either at home, office or at school. 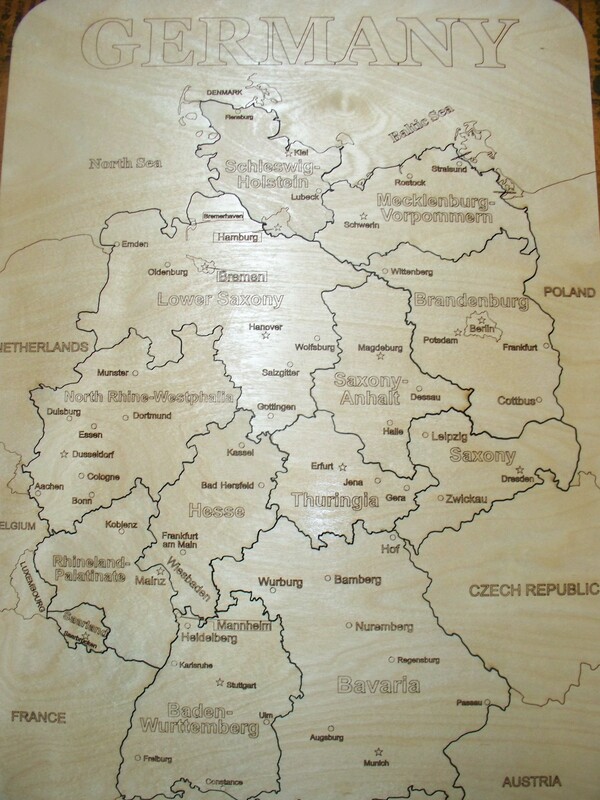 Handmade item Materials: Birch plywood, handmade, crafts, Model, School, Library, Educational, classroom, home school Ships from United States. Not recommended for younger children without supervision, could cause chocking hazards. 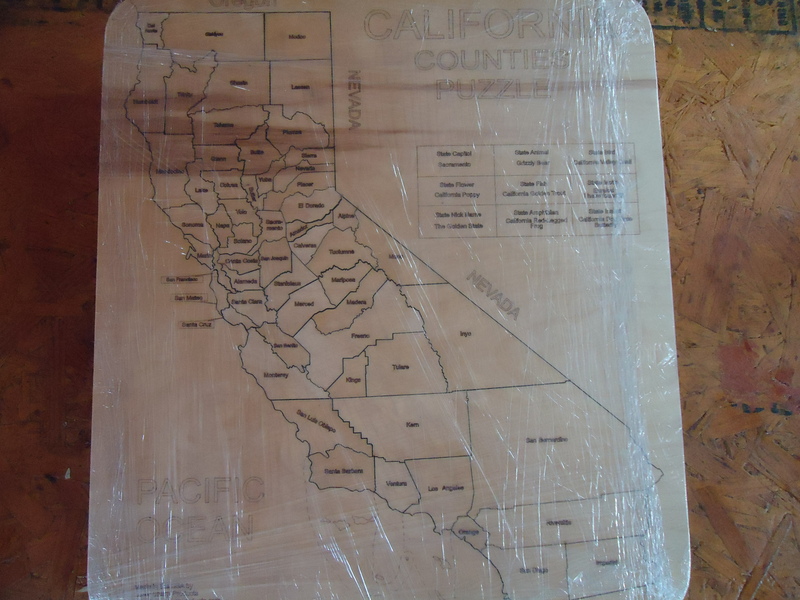 California Counties Puzzle Plus Shipping A great learning puzzle for the whole family County puzzles are a great learning tool for our Children and Adults too. 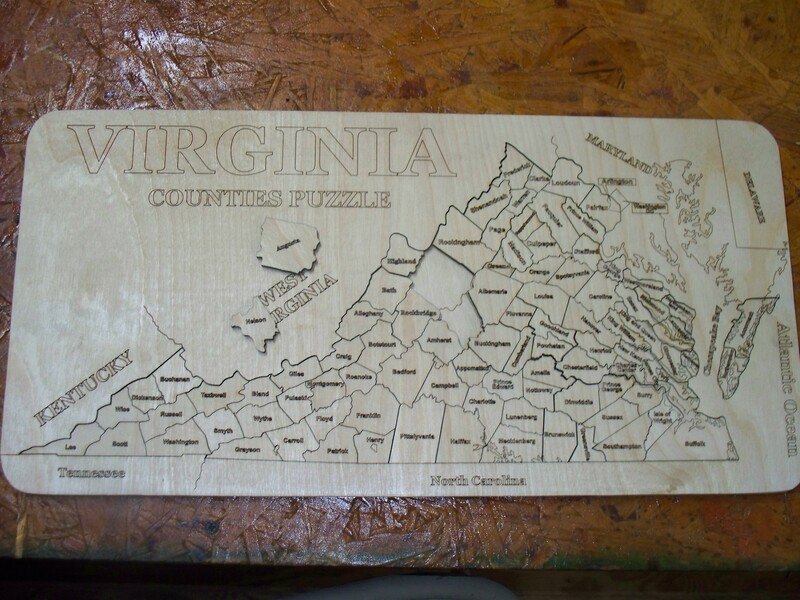 All laser engraved, and the pieces can be replaced if lost. Handmade item It's a good history teacher. Not recommended for younger children without supervision, could cause chocking hazards. 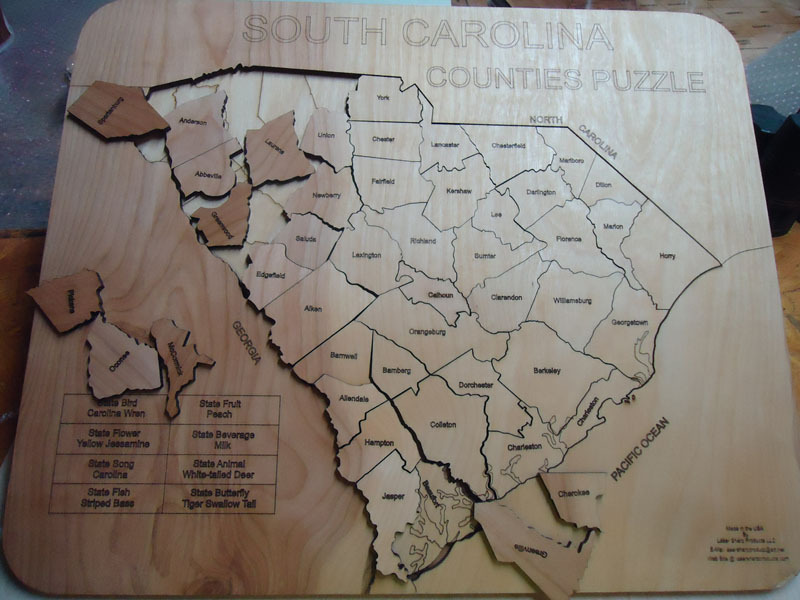 An excellent tool for educators, parents and grandparents to help children (and adults) learn about individual counties names and location within the State. These are a hit with adults as a means to identify location significant events like counties visited, location of extended family members locations, etc. Very suitable for a display model either at home, office or at school. 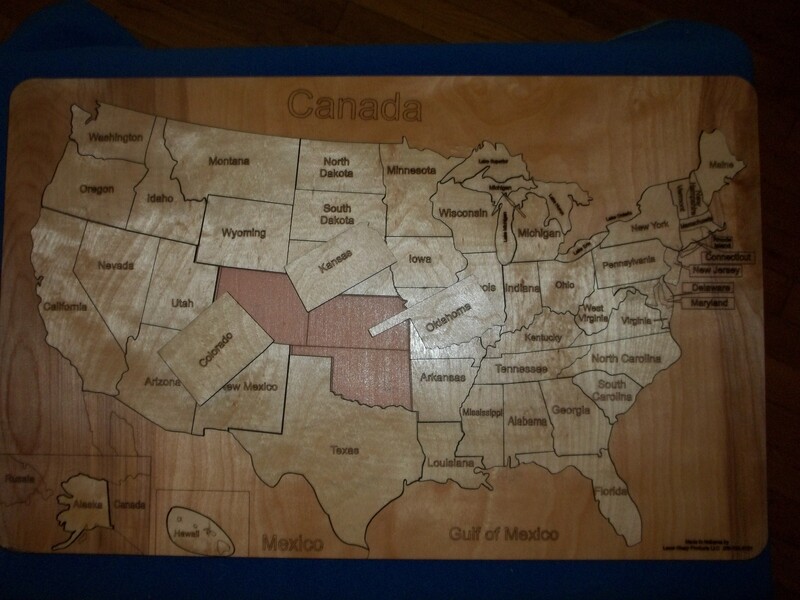 Handmade item Materials: Birch plywood, Great for Library, Educational, classroom, science, geography, home school Ships from United States. Not recommended for younger children without supervision, could cause chocking hazards. Plus Shipping, A great learning tool for the whole family. 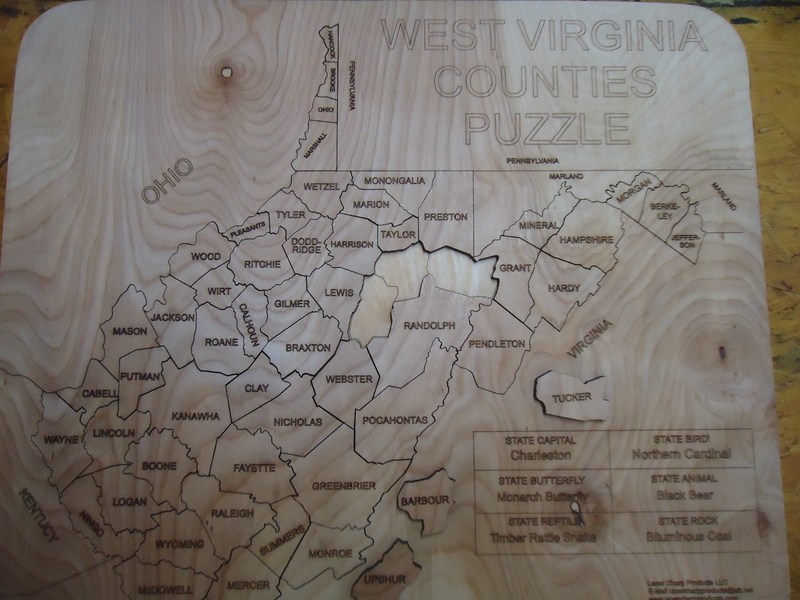 County puzzles are a great learning tool for our Children and Adults too. 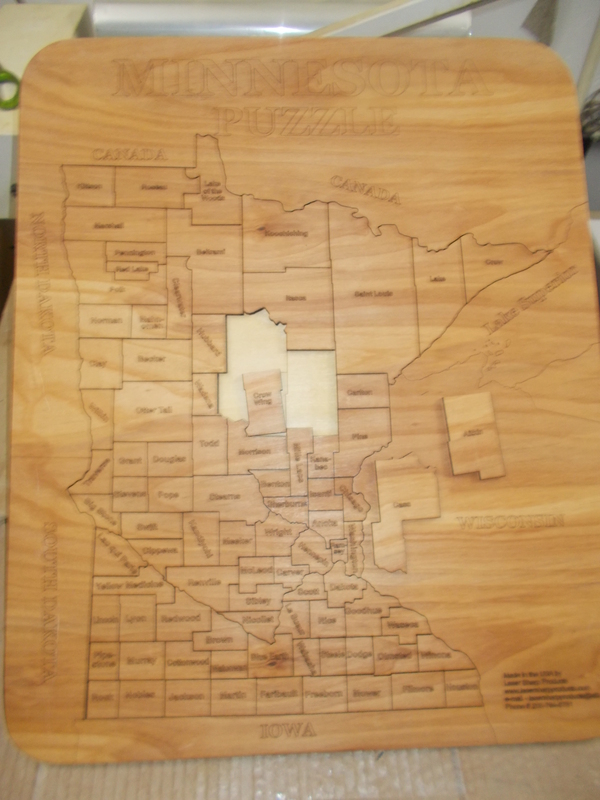 All laser engraved, and the pieces can be replaced if lost. Handmade item It's a good history teacher. Not recommended for younger children without supervision, could cause chocking hazards. 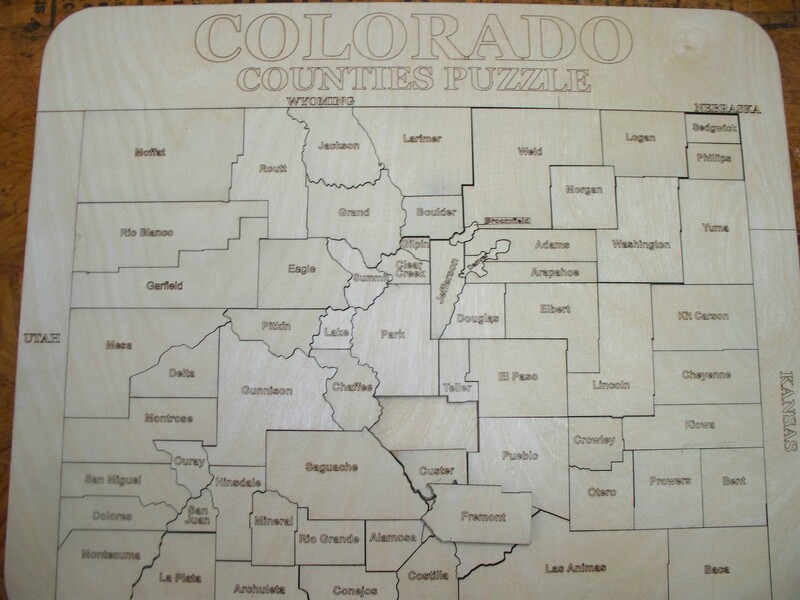 An excellent tool for educators, parents and grandparents to help children (and adults) learn about individual counties names and location within the State. These are a hit with adults as a means to identify location significant events like counties visited, location of extended family members locations, etc. Very suitable for a display model either at home, office or at school. Handmade item Materials: plywood, handmade, crafts, Model, School, Library, Educational, classroom, home school Ships from United States Not recommended for younger children without supervision, could cause chocking hazards. 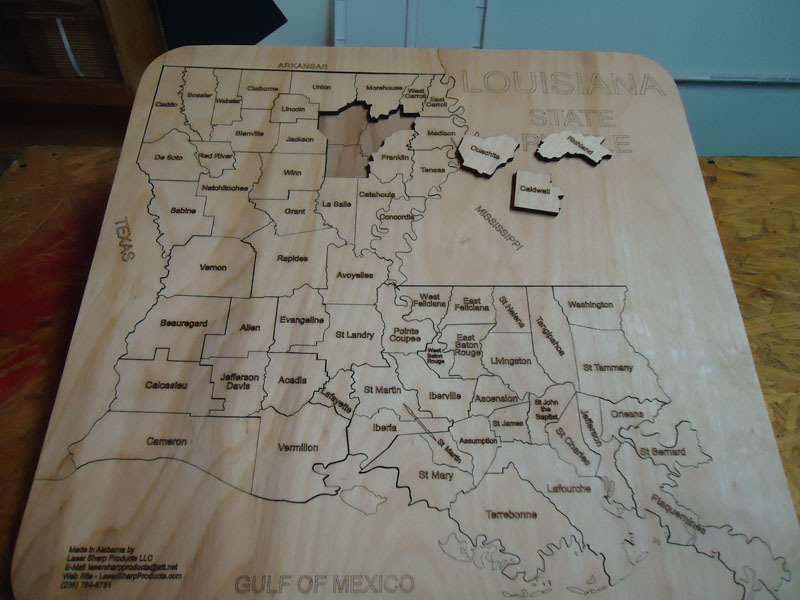 Louisiana State puzzle Plus Shipping It a great learning tool for our Children and Adults too. 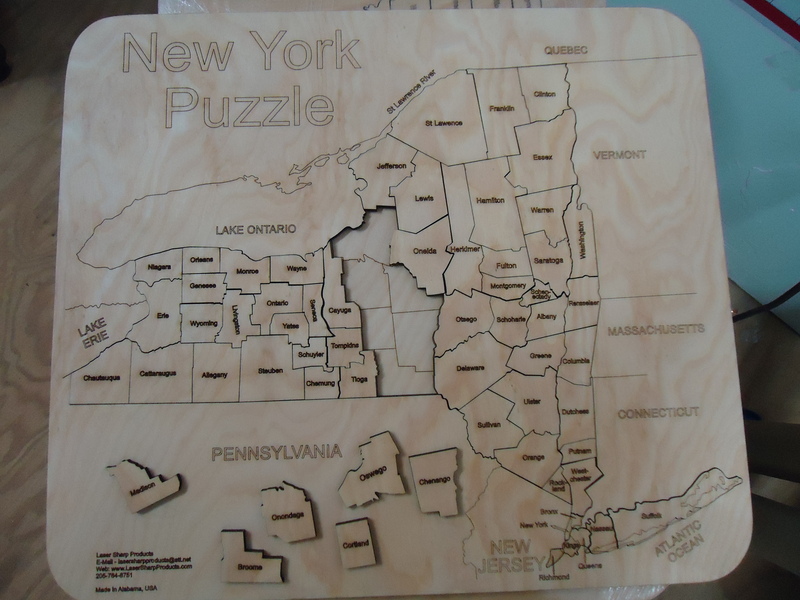 All laser engraved, and the pieces can be replaced if lost. It's a good history teacher. Not recommended for younger children without supervision, could cause chocking hazards. An excellent tool for educators, parents and grandparents to help children (and adults) learn about individual counties names and location within the State. These are a hit with adults as a means to identify location significant events like counties visited, location of extended family members locations, etc. Very suitable for a display model either at home, office or at school. Handmade item Materials: Birch plywood, Great for School, Library, Educational, classroom, home school Ships from United States Not recommended for younger children without supervision, could cause chocking hazards. 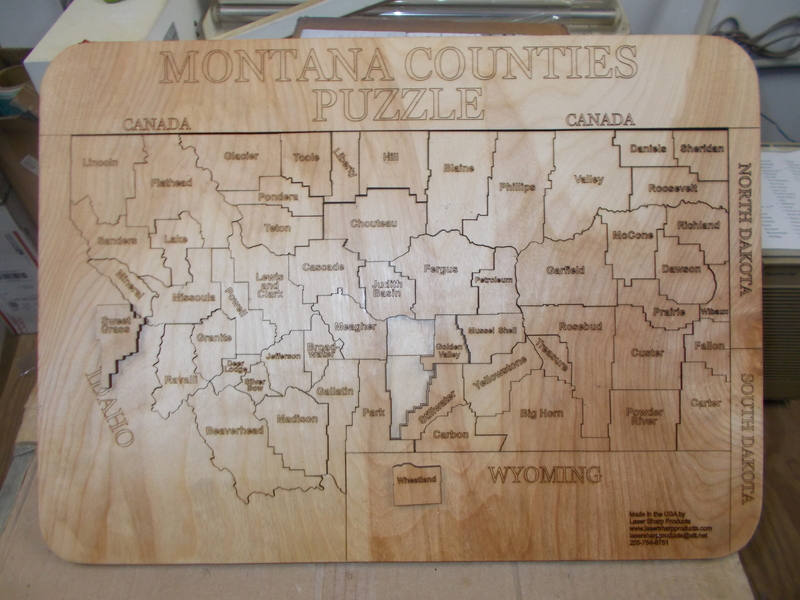 Nevada Counties Puzzle plus Shipping. 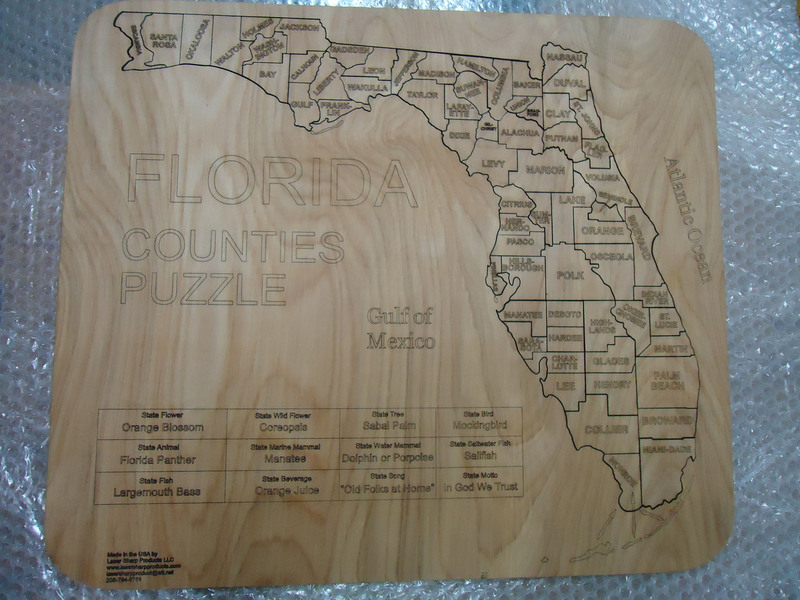 eat learning puzzle for the whole family County puzzles are a great learning tool for our Children and Adults too. 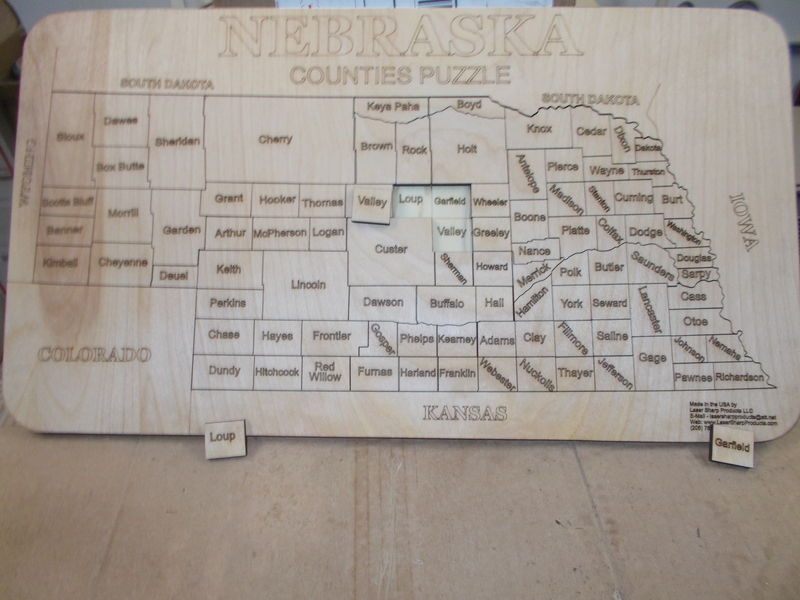 All laser engraved, and the pieces can be replaced if lost. 40.00 and shipping, Handmade item It's a good history teacher. Not recommended for younger children without supervision, could cause chocking hazards. 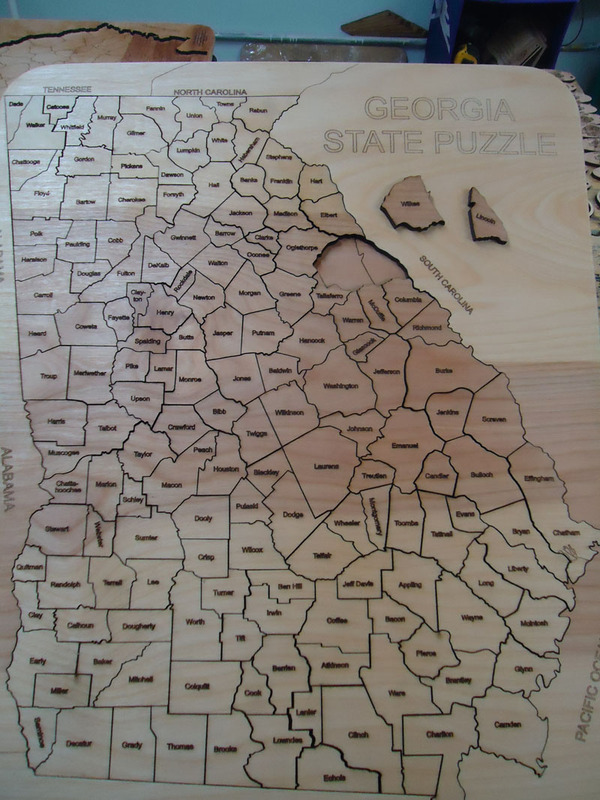 An excellent tool for educators, parents and grandparents to help children (and adults) learn about individual counties names and location within the State. 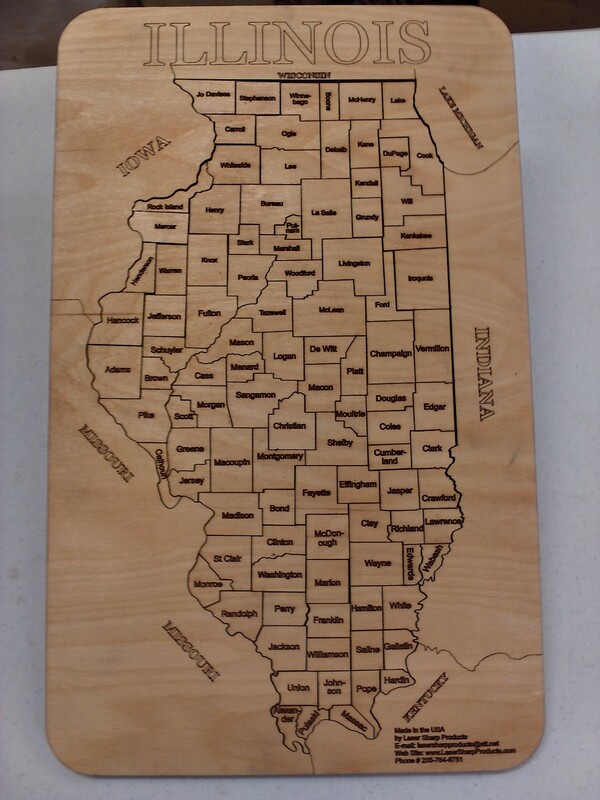 These are a hit with adults as a means to identify location significant events like counties visited, location of extended family members, corporate offices, store locations, etc. Very suitable for a display model either at home, office or at school. 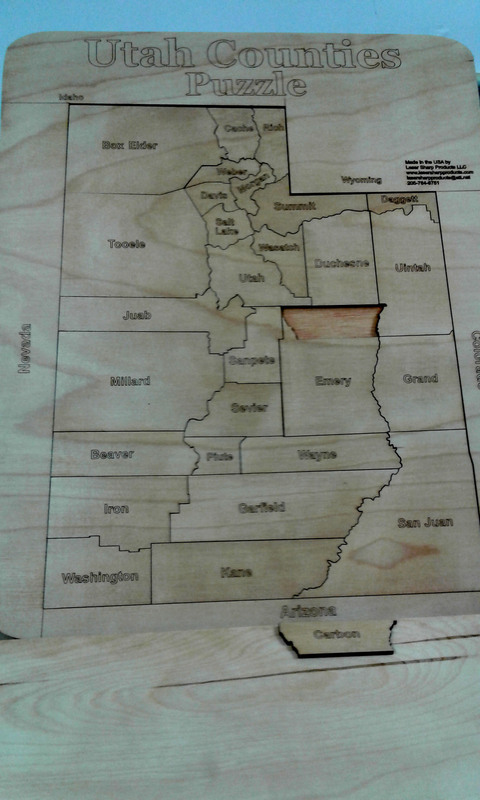 Handmade item Materials: Birch plywood, Great for Library, Educational, classroom, science, geography, home school Ships from United States. Plus Shipping, A great learning tool for the whole family. 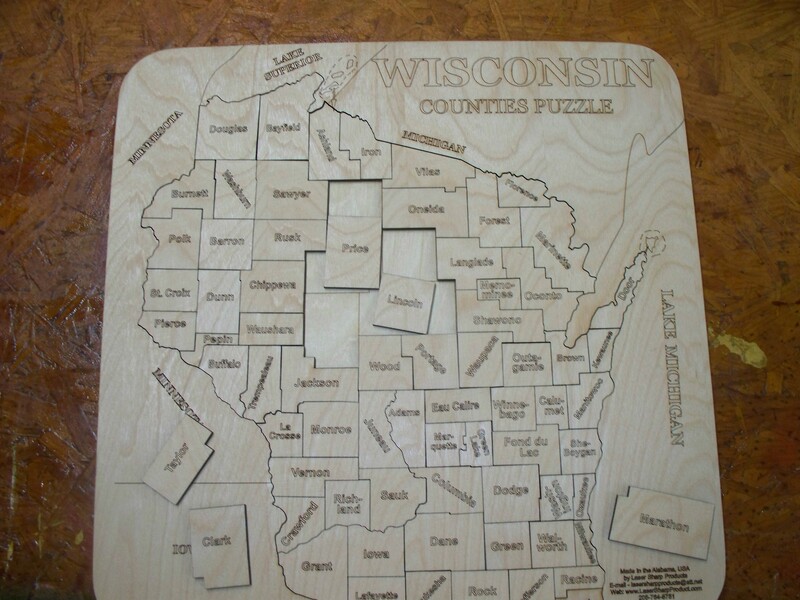 County puzzles are a great learning tool for our Children and Adults too. 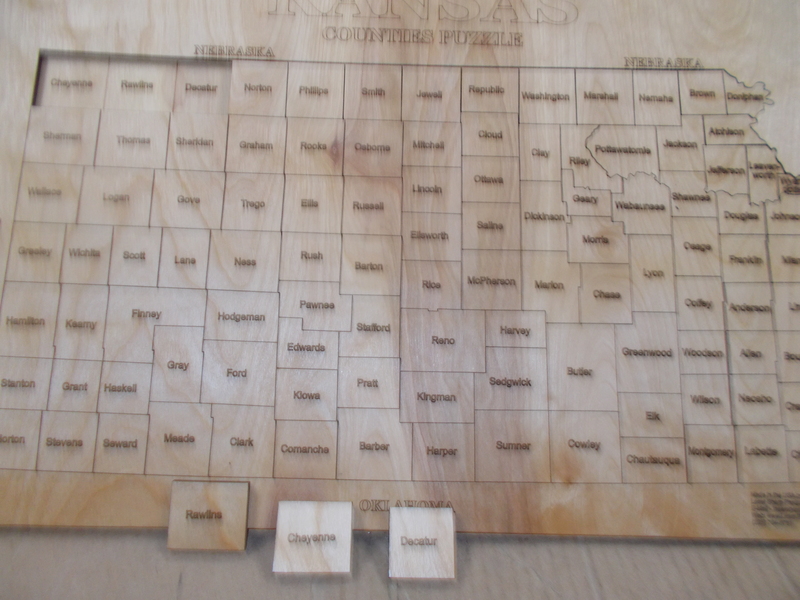 All laser engraved, and the pieces can be replaced if lost. 40.00 and shipping Handmade item It's a good history teacher. Not recommended for younger children without supervision, could cause chocking hazards. 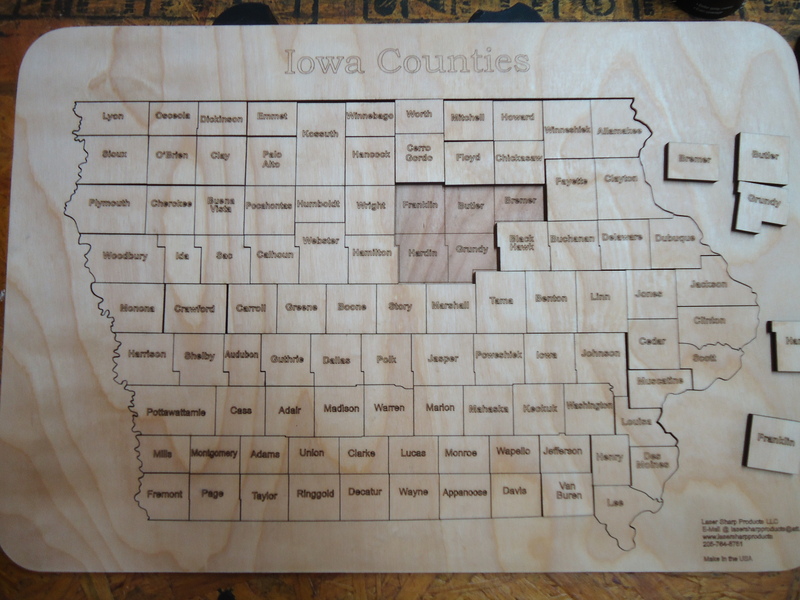 An excellent tool for educators, parents and grandparents to help children (and adults) learn about individual counties names and location within the State. These are a hit with adults as a means to identify location significant events like counties visited, location of extended family members, corporate offices, store locations, etc. Very suitable for a display model either at home, office or at school. Handmade item Materials: Birch plywood,Great for School, Library, Educational, classroom, home school Ships from United States Not recommended for younger children without supervision, could cause chocking hazards. 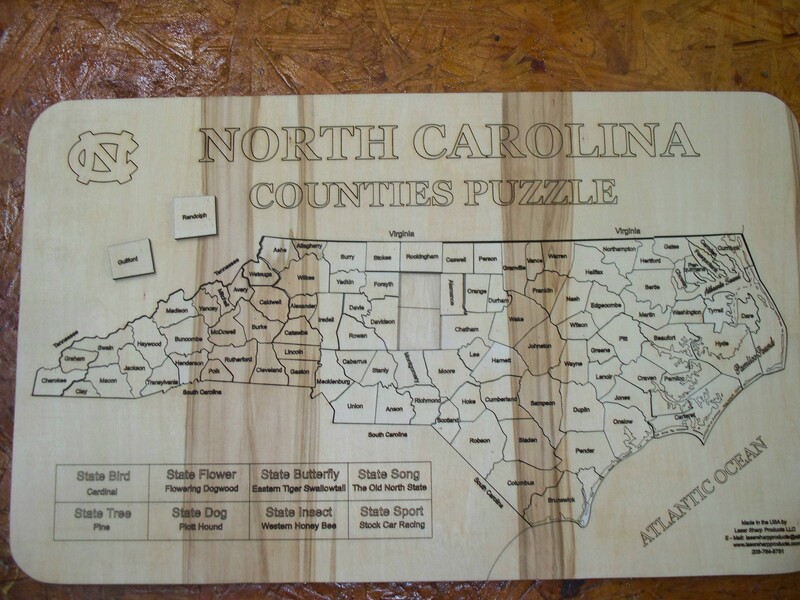 North Carolina Counties Puzzle plus shipping Great learning puzzle for the whole family County puzzles are a great learning tool for our Children and Adults too. 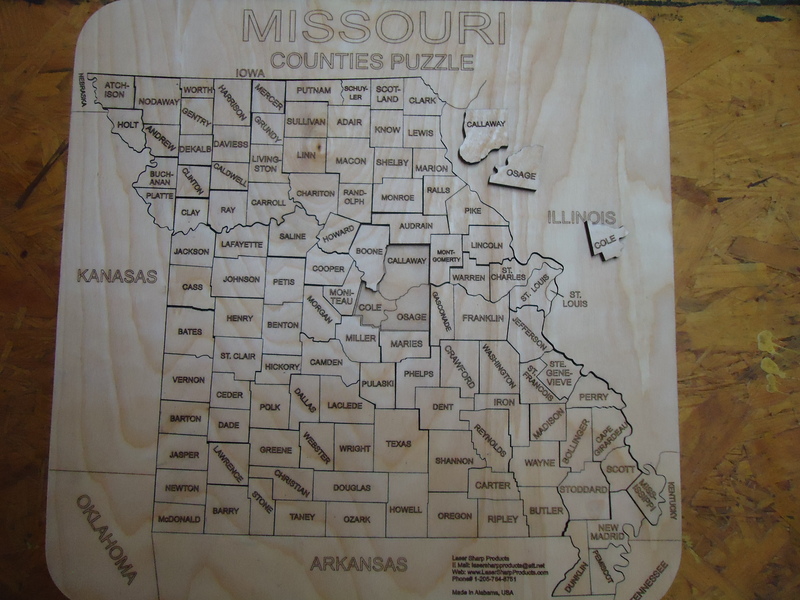 All laser engraved, and the pieces can be replaced if lost. Handmade item It's a good history teacher. Not recommended for younger children without supervision, could cause chocking hazards. 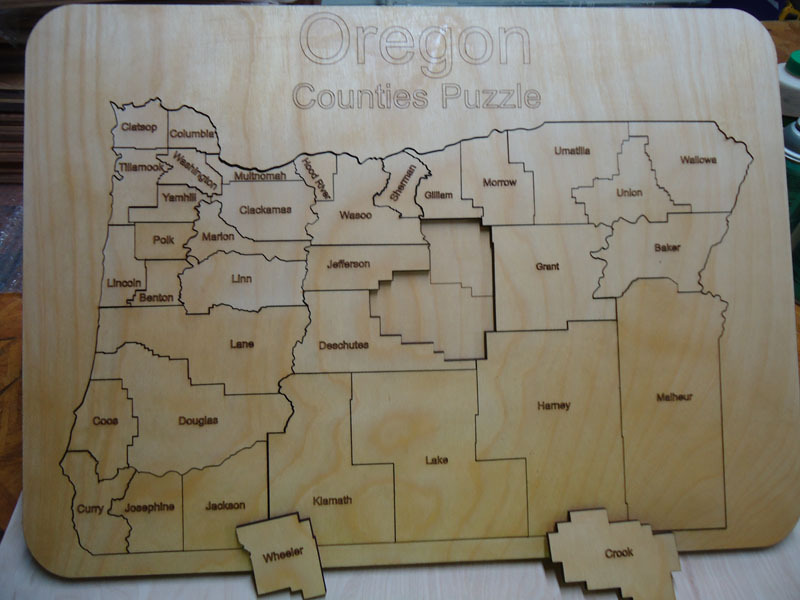 An excellent tool for educators, parents and grandparents to help children (and adults) learn about individual counties names and location within the State. These are a hit with adults as a means to identify location significant events like counties visited, location of extended family members locations, etc. Very suitable for a display model either at home, office or at school. 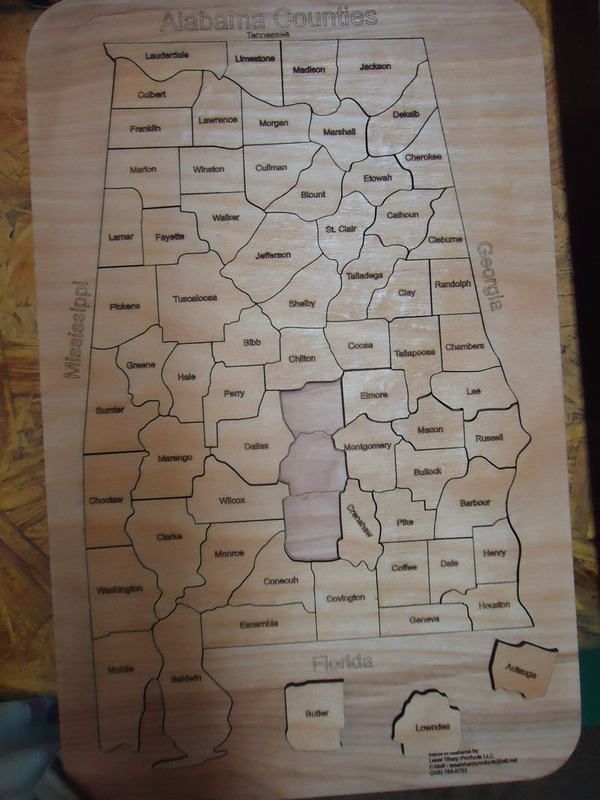 Handmade item Materials: Birch plywood, Great for Library, Educational, classroom, home school. Ships from United States. 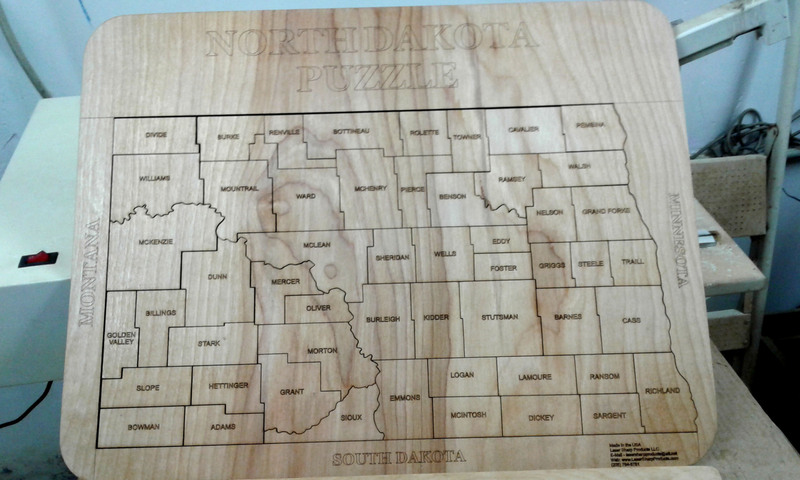 North Dakota Counties Puzzle Plus Shipping Handmade item It's a good history teacher. Not recommended for younger children without supervision, could cause chocking hazards. 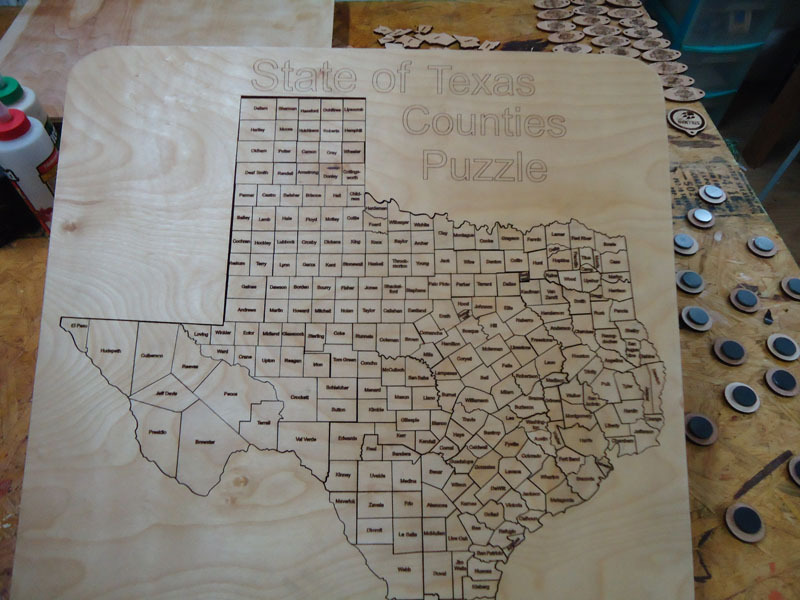 An excellent tool for educators, parents and grandparents to help children (and adults) learn about individual counties names and location within the State. These are a hit with adults as a means to identify location significant events like counties visited, location of extended family members locations, etc. Very suitable for a display model either at home, office or at school. Handmade item Materials: Birch plywood, Great for Library, Educational, classroom, home school. Ships from United States. 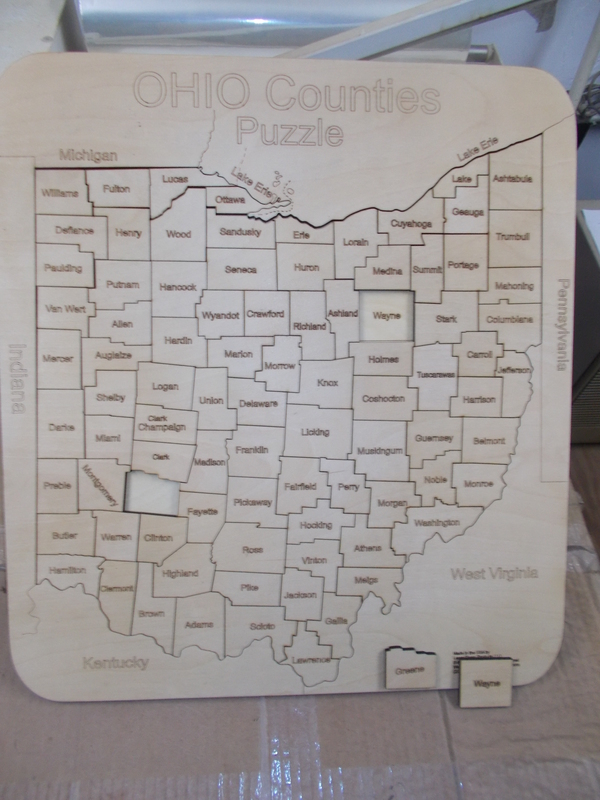 Ohio Counties Puzzle Plus Shipping Handmade item It's a good history teacher. Not recommended for younger children without supervision, could cause chocking hazards. 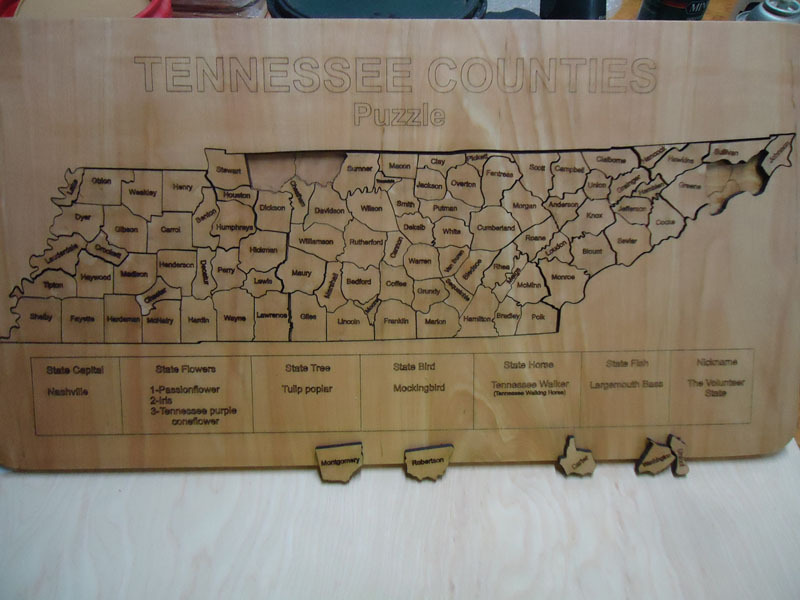 An excellent tool for educators, parents and grandparents to help children (and adults) learn about individual counties names and location within the State. These are a hit with adults as a means to identify location significant events like counties visited, location of extended family members locations, etc. Very suitable for a display model either at home, office or at school. 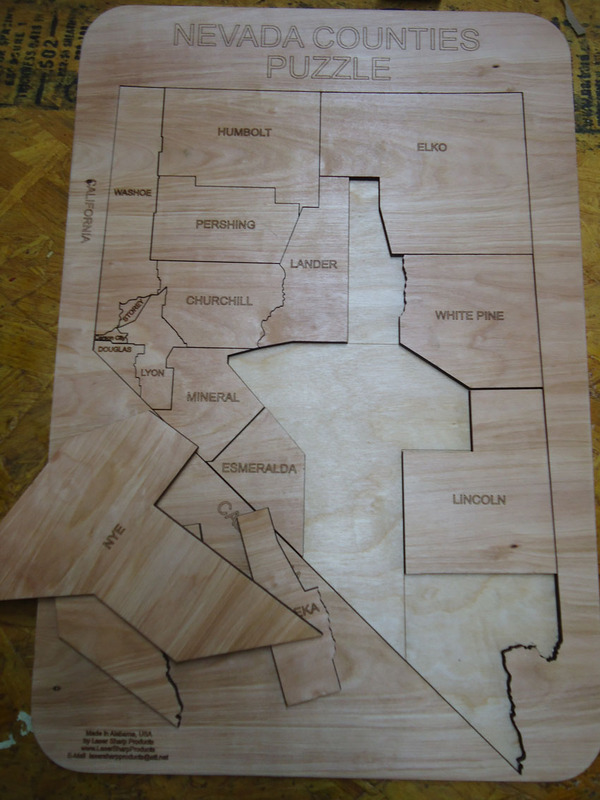 Handmade item Materials: Birch plywood, Great for Library, Educational, classroom, home school. Ships from United States. 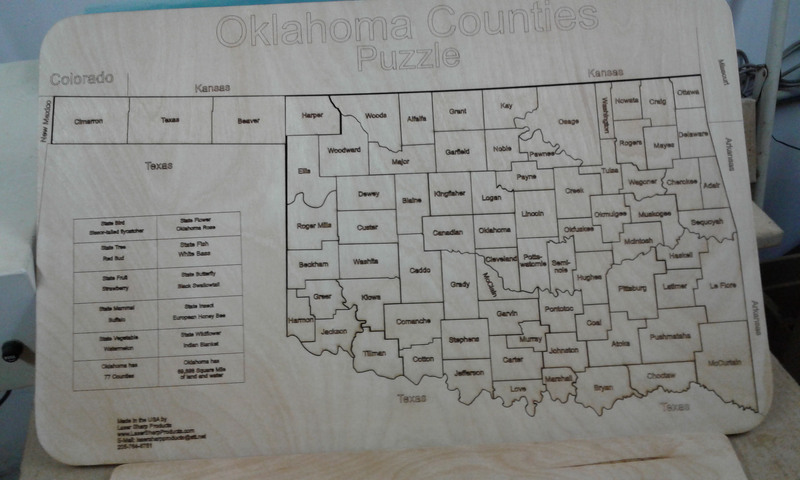 Oklahoma Counties Puzzle Plus Shipping Handmade item It's a good history teacher. Not recommended for younger children without supervision, could cause chocking hazards. 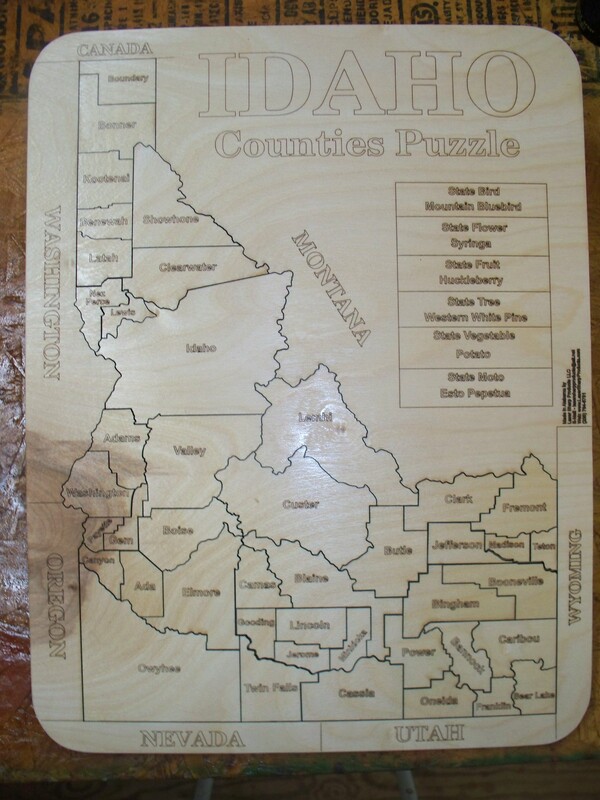 An excellent tool for educators, parents and grandparents to help children (and adults) learn about individual counties names and location within the State. These are a hit with adults as a means to identify location significant events like counties visited, location of extended family members locations, etc. Very suitable for a display model either at home, office or at school. 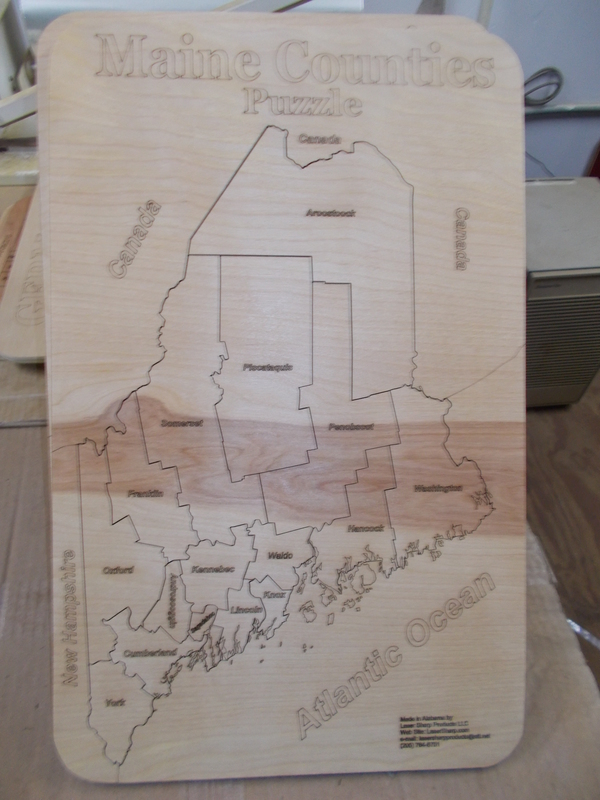 Handmade item Materials: Birch plywood, Great for Library, Educational, classroom, home school. Ships from United States.